Every year, new hairstyles emerge and become the latest trends. Some styles come and go while others never seem to go out of fashion. There are also times when styles that were popular years ago make a comeback. 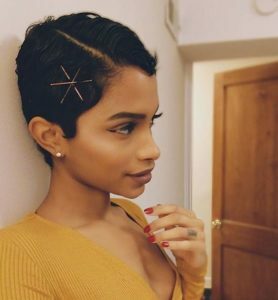 Whatever the case may be, there never seems to be a shortage of hairstyles to choose from when you get that itch to switch up your look. Here are some of this year’s trendiest hairstyles for African-American women. The half up, half down style has been especially popular this year. 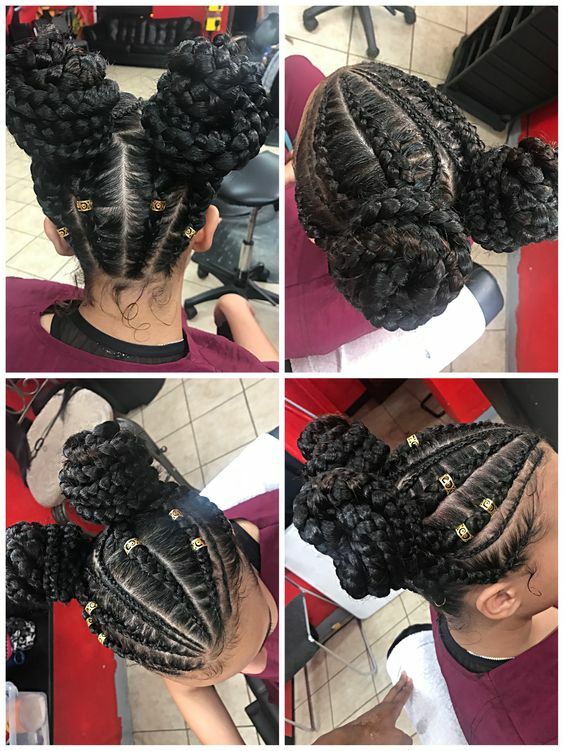 This style is great because it’s cute, fun, and easy to do. 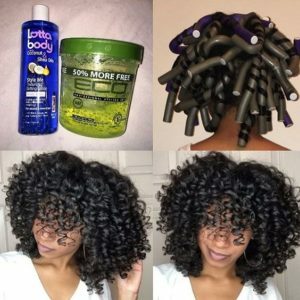 It also works on several different hair textures and lengths. Here’s another style that’s been spotted all over this year. 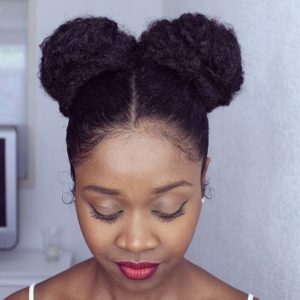 These high double buns, also known as space buns, are a fun style that also serves as a great protective style. This style is a fusion of the first two styles on this list. Just create two double buns at the top of the head and let the rest hang loose. 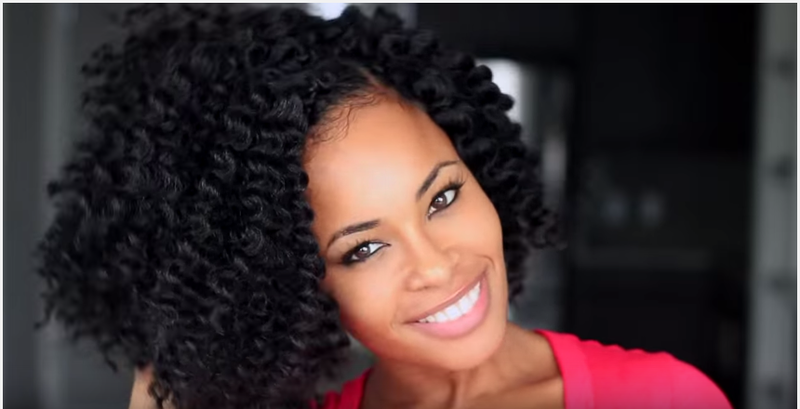 This style looks great on any texture of hair, like this twist out done on stretched hair. Ghana Braids have been around for a long time. Their popularity has grown over the last few years and they have become the “it style” this year. Ghana braids are cornrows with extensions added in (also known as feed in braids). They can be styled in a variety of ways. 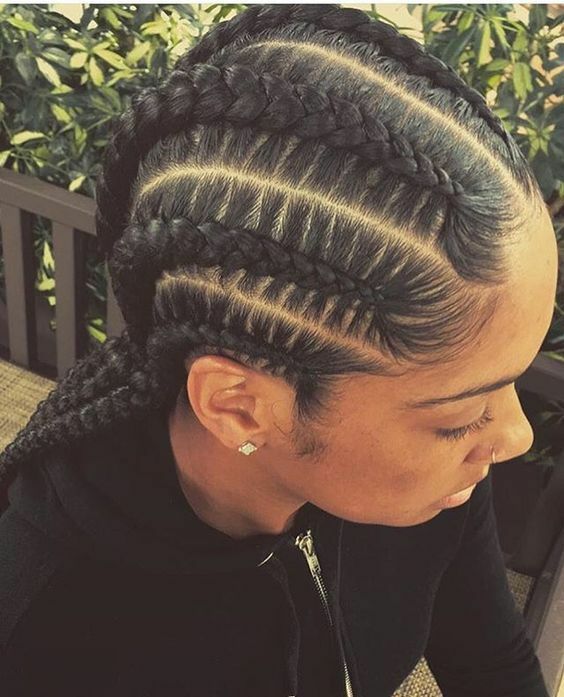 One of this year’s most popular ways to wear them include alternating large and small cornrows, as seen here. 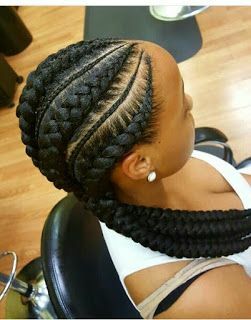 Halo braids get their name from the fact that they are braided around the head like a halo. 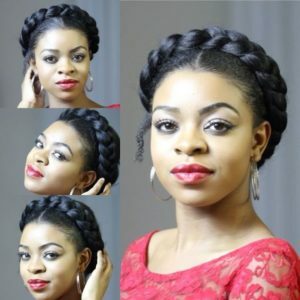 Also known as milkmaid braids, this is another style that looks great on any hair texture. This style has a timeless elegance that is sure to be around for years to come. Curling wands are quickly replacing the curling iron as the hot tool of choice to curl hair. They work pretty much the same way, the main difference is that curling wands do not have a clasp to hold your hair in place the way curling irons do. Curling wands tend to produce soft waves and loose curls, while curling irons typically produce tighter ringlets. Expect to see more and more wand curls this year. 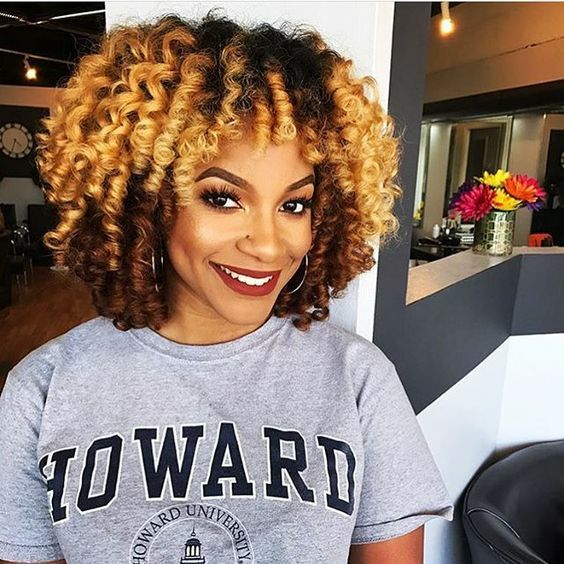 Flexi rod sets are far from new, but they continue to be popular this year. 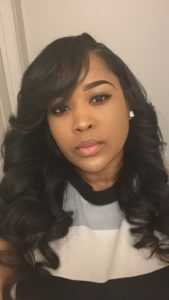 This is an easy style to do at home and you can even let them air dry if you don’t have a hooded dryer to set the style: perfect for those who are taking a break from heat styling. Perm rods tend to produce tighter curls than flexi rods: it all depends on how you install them. Like flexi rods, the size of the perm rods you use will result in different sized curls. 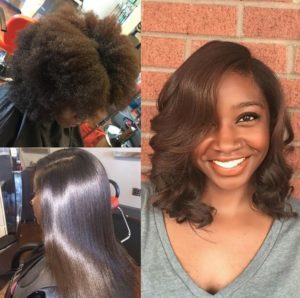 Perm rods can also be air-dried, but tend to set a little better when dried under a hooded dryer. 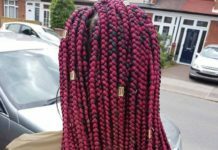 Crochet braids continue to be popular this year. 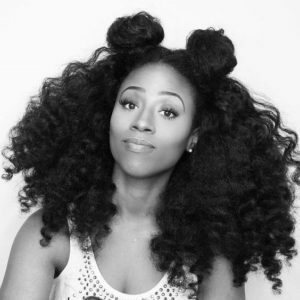 They’re a great protective style that’s easy to install and result in realistic-looking curls. Crochet braids are great for ladies with natural hair who want a protective style that resembles their natural texture. Faux locs are another style that continues to stand the test of time. They are as popular as ever this year. 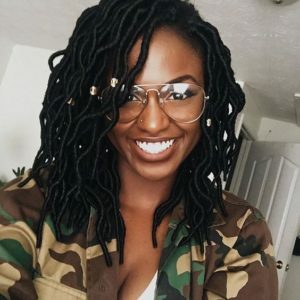 In addition to being a great protective style, it’s the perfect way to see what you’d look like with real locs without the long-term commitment. Faux locs are great, but the installation process can be really time-consuming. 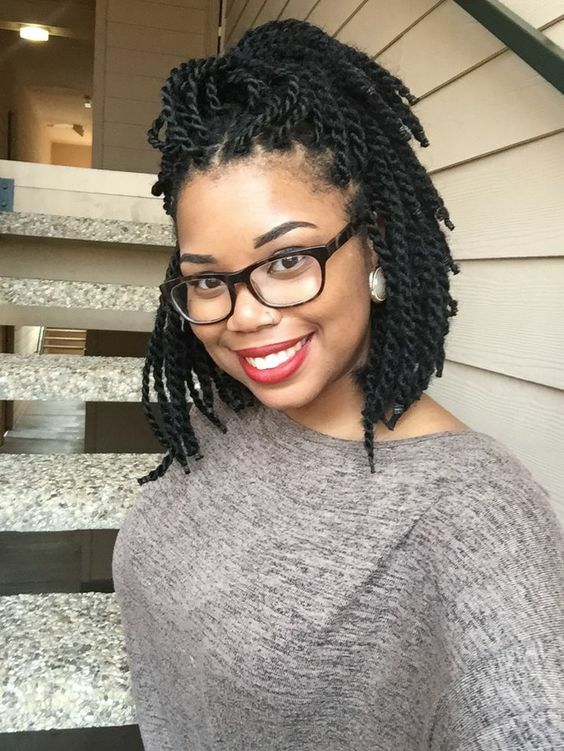 Crochet locs give you the same look but the installation is much quicker. 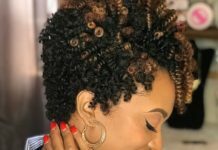 Your natural hair is cornrowed and pre-rolled locs are installed using the same method used for crochet braids. Goddess locs are made with human hair instead of synthetic hair, giving them a really natural-looking appearance. Actress Meagan Good has made goddess locs her latest signature style, which only adds to their popularity. 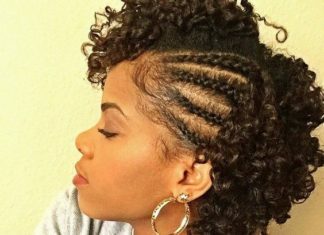 Marley twists are not going anywhere any time soon. 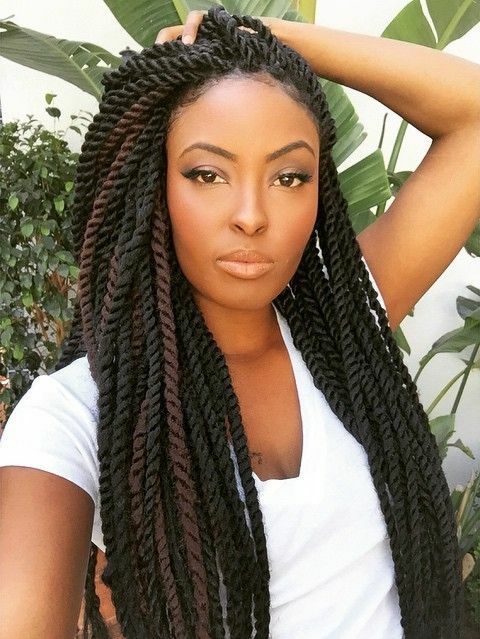 This style continues to be one of the most popular protective styles around this year. 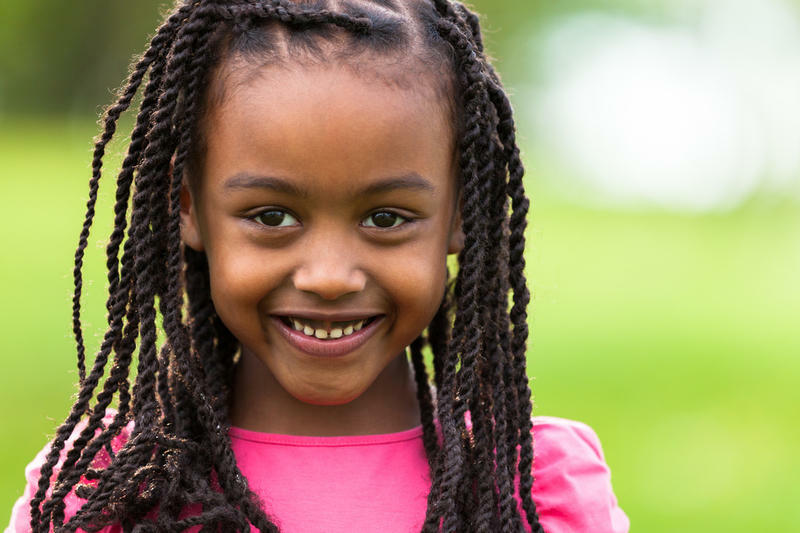 The style gets its name from the synthetic braiding hair that is fed into the wearer’s natural hair: Marley hair. 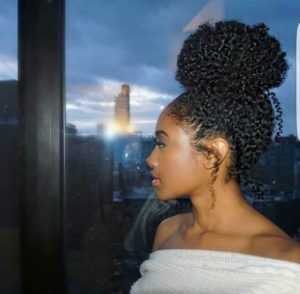 The high bun is a timeless hairstyle. High buns can be casual or chic. It’s the perfect style for any occasion, whether you’re going to the gym or to a party. 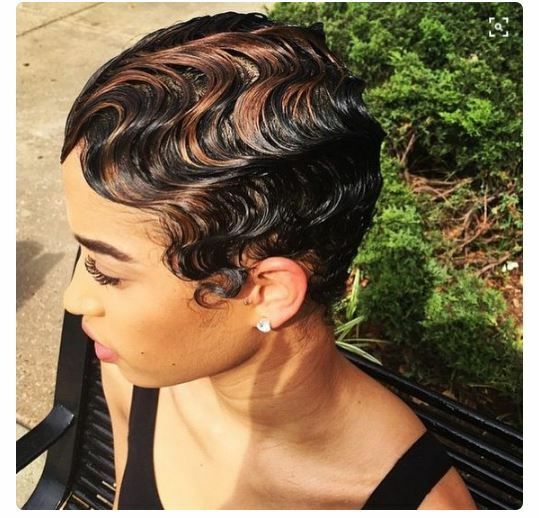 Every so often, finger waves make a comeback. 2017 is one of those times. Finger waves are a great way to take a simple short cut up a notch by adding some texture. Finger waves are usually created by sculpting the waves with your fingers and a comb, using a foaming mousse for hold. Bantu knots are another one of those styles that never seem to get old. 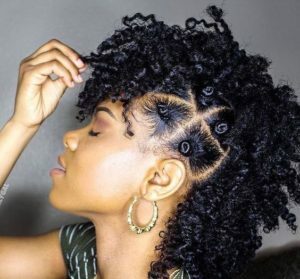 A popular look this year involves creating bantu knots all over, then unraveling all but a few on one side of the head, for a simple but beautiful style. 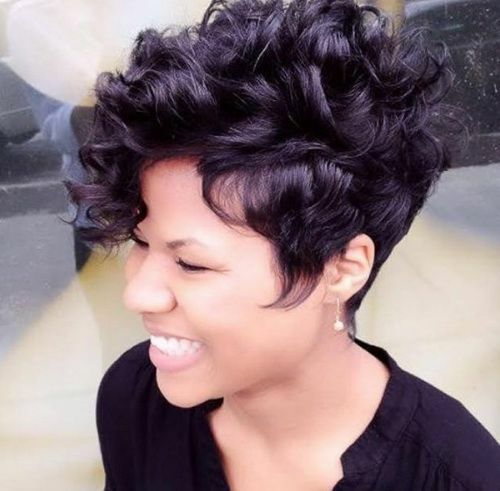 This tapered short haircut leaves the hair longer on one side, allowing it to be styled into voluminous, loose curls. 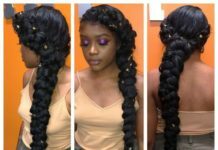 This gorgeous style is especially perfect for the summer. 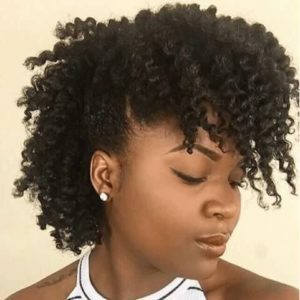 The twist out is one of those fundamental styles for natural hair. 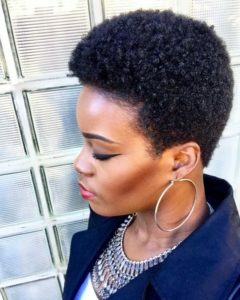 It’s gorgeous on any natural hair texture and it can be styled in a variety of ways, like this partial faux hawk. 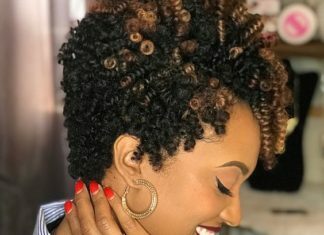 This year, bobby pin designs have been sprucing up otherwise simple hairstyles, like this wash n go. Four large bobby pins are all it takes to create this cute star-shaped design. 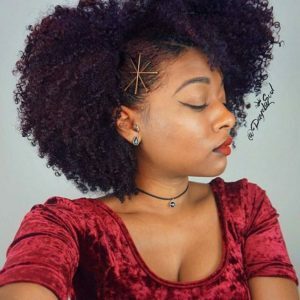 You don’t have to have long hair to rock bobby pin stars. 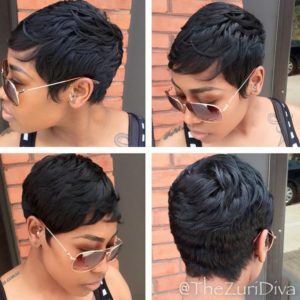 They also look great on short styles like this pixie cut. 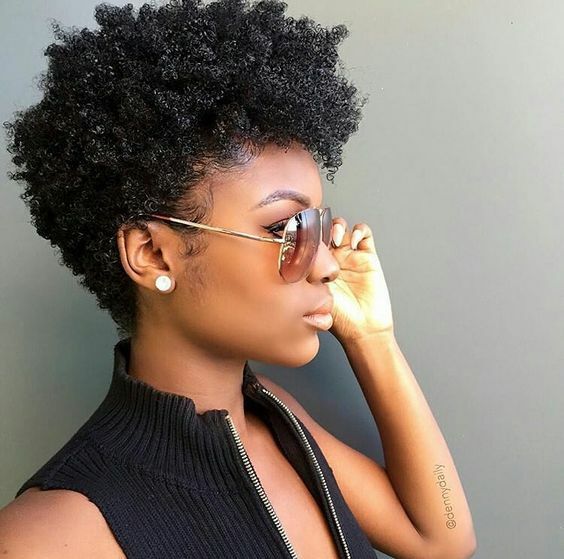 A classic twa (teeny weeny Afro) will always be en vogue. 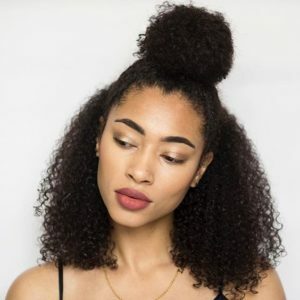 It can be styled as a wash n go or with finger coils, and it looks extra gorgeous when paired with a bold lip color. A tapered cut is a great way to take an already gorgeous style up a notch and emphasize your natural texture. 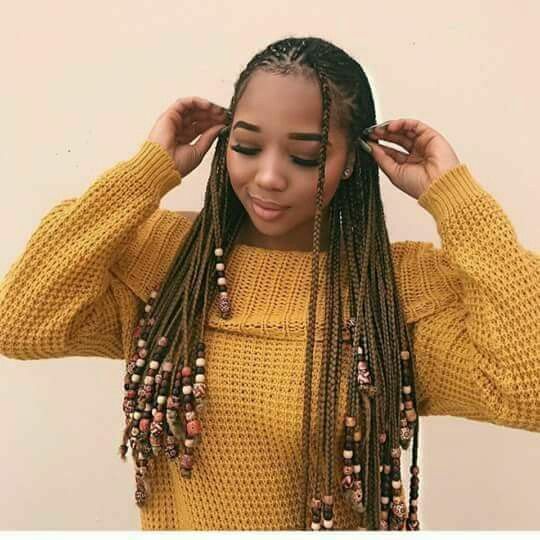 Wooden beads have made a comeback this year, showing up in all kinds of braided styles like this cute box braid style. These bob-length twists are the perfect protective style for those who like twists without the ultra-long length. They can be created with or without added hair. The pixie cut is another classic style that has re-emerged in 2017. It’s simple, chic, and bold. 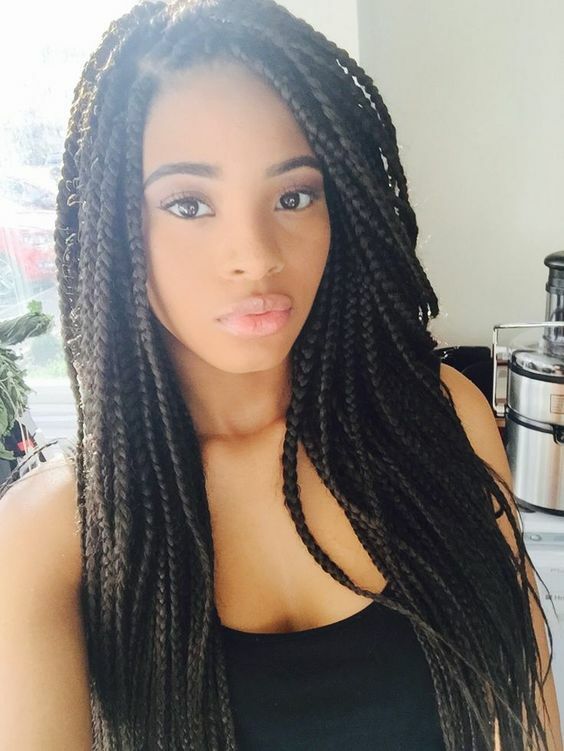 With all the different braided styles to choose from, box braids continue to be a favorite. 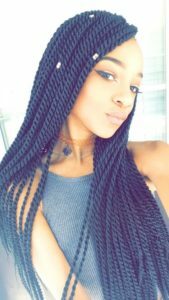 Box braids are classic, fun, and versatile. 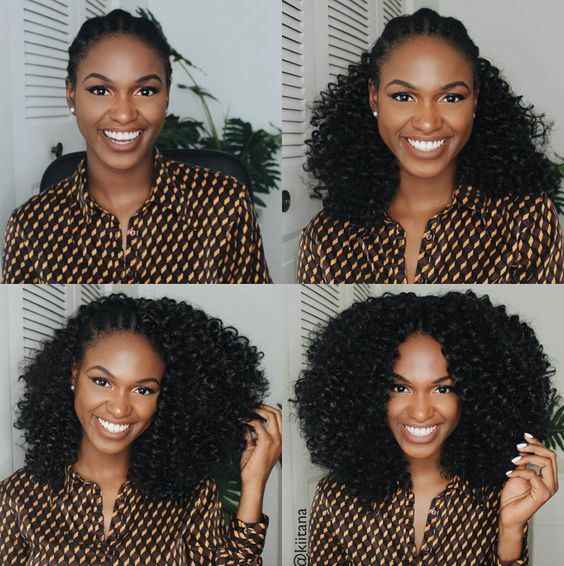 They’re the perfect protective style for any time of the year. Purple is a popular hair color this year. It’s vibrant and playful and looks great on just about everyone. 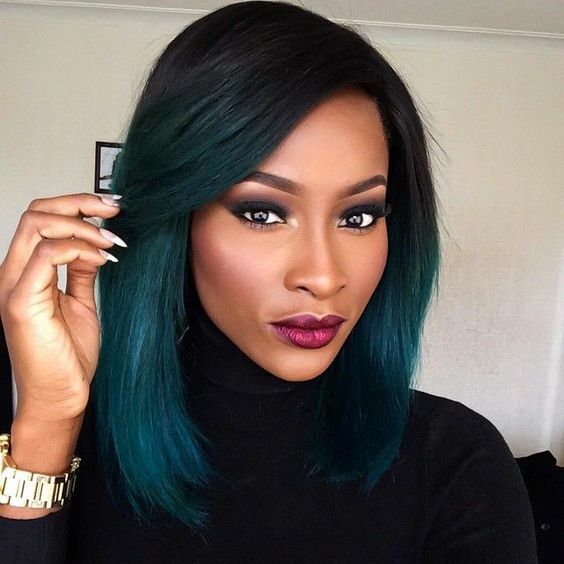 You can opt for colored extensions, hair shadow, or temporary color if you don’t want to commit to this color long-term. 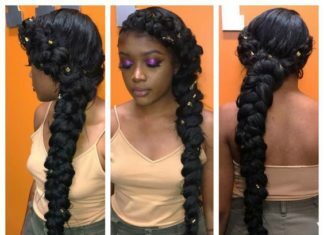 Feed in braids are becoming increasingly popular, most likely due to their neat appearance and versatility. Long feed in braids can be styled in many ways, like these double and single buns. 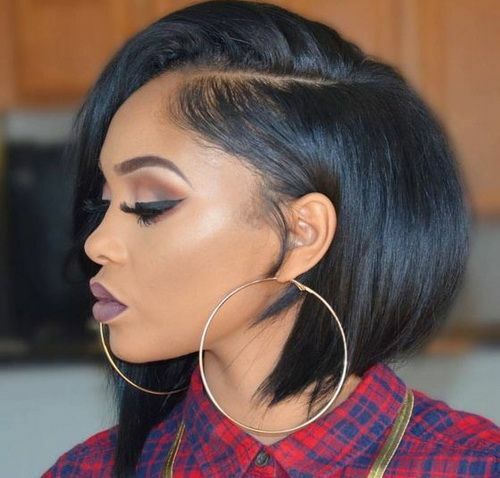 The classic bob cut continues to stand the test of time. It’s a cut that frames the face nicely, and it can be styled with or without bangs. It’s the perfect length if you want a haircut but don’t want to go too short. 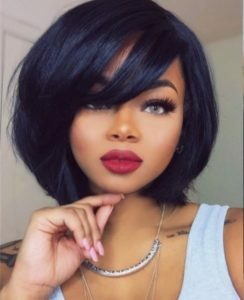 A long bob is a flattering cut for many different face shapes. It’s also an effortless way to grow out a classic bob. 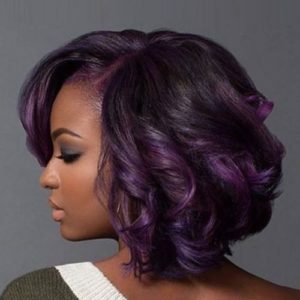 Bold color on the ends creates an ombre effect and adds even more dimension to this simple but chic haircut. There’s just something really satisfying about neat, symmetrical, straight back cornrows. It’s the ultimate protective style and it can be done with or without added hair. 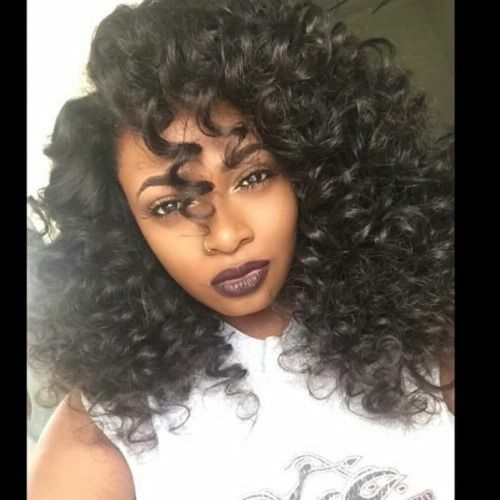 Weaves with loose curls or waves are becoming more and more popular as many ladies are opting for hair with a little more body and texture. Brazilian body wave hair is perfect for this look. 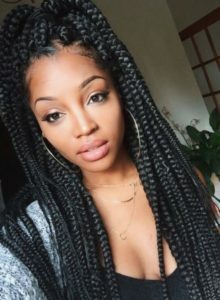 Senegalese twists are similar to Marley twists; the main difference is that Senegalese twists are usually made with Kanekalon hair instead of Marley hair. Senegalese twists are perfect if you prefer smaller twists, as they tend to be thinner than Marley twists. In recent years, thick box braids have made a comeback. They got the nickname “Poetic Justice braids” in the 90s after Janet Jackson wore them in the movie of the same name. Last but not least, the silk press is an updated version of the press and curl that’s done with a flat iron instead of a hot comb. The results are shiny, bouncy, silky hair. Thoroughly moisturizing the hair beforehand is the key to a great silk press.